If you suddenly come into a lot of money and decide to purchase a very expensive car thinking the sticker price is the end of it, you may come up short on your vehicle budget. You may have heard people say there is nothing special about buying an expensive car; the real challenge is in the upkeep! Your car will need regular maintenance, including oil changes and tune ups or your initial investment will be wasted. The same truth applies to property. You can spend a bunch of money building a brand-new home or building, but you had better budget for upkeep or that property won’t last long. This is especially true of commercial property. You cannot expect it to make money for you without giving it regular maintenance. Maintaining a commercial property is necessary and doesn’t take a lot, but it is not as simple as it seems. It may be a light that need changing that requires finding a special bulb or exterior damage from a storm or vehicle that needs urgent attention. 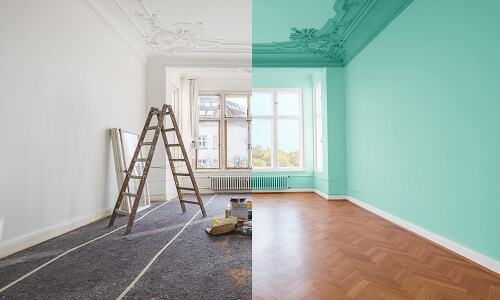 One of your incoming tenants may feel the need to renovate the interior to accommodate their business needs or a few years have passed and you need to repaint the exterior or repair a leaking gutter. Managing everything on your own will certainly be time consuming and short-sighted if you don’t know what to look for. You can avoid the headache by outsourcing your commercial property’s maintenance needs to a company with an eye that’s trained in what to look for and knows how to find exactly the right light bulb or paint match. Monster Contractor is just such a company and would love to help you with your commercial property maintenance here in Woodland, CA. Our Woodland property maintenance staff knows what it takes to provide your property the maintenance it needs. We have a team of skilled and experienced workers who are consistently guided by our senior staff at each step. Our area of expertise not only includes maintenance services, but also general contracting construction work such as renovation of the exteriors and interiors. When your property needs professional maintenance, Monster Contractor Property Maintenance is your friend. Every building in the world needs occasional repairs. Unfortunate events like vehicle collision, heavy rain storms and the slow and steady progress of time can damage your commercial building. If you have company that provides your Woodland commercial property with the maintenance you need, there’s nothing to worry about. Monster Contractor Property Maintenance is a qualified, licensed and insured California commercial maintenance contractor servicing the Woodland metropolitan area. We can handle the regular maintenance and occasional repairs you need in a timely and efficient manner. Our Woodland crew provides comprehensive commercial facility maintenance services and repairs through predictive and preventive maintenance programs that can range from month-to-month or day-to-day service. Our trained crews are made up of skilled craftsman, who ensure quality. 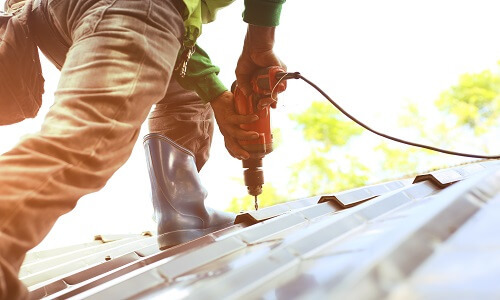 Whether you need our fully-staffed, on-site regular property maintenance service or a smaller property repair service, Monster Contractor has the solution. We are experts at time-bound delivery of services. We will tailor our visits to your specified time constraints. Our team will do its best to complete your work within the desired time. Our secret recipe is efficient time and resource management. We divide each project request into phases. First, we listen to your demand; then we visit to inspect your building and determine the best path for resolution. From there, our expert presents you with the best plan and costs, as well as any options you may want to consider. When you are ready to move forward with the project, we start the physical work on your property. We are often able to complete a job before the expected date. In many cases, we can arrange to work after hours, meaning you will not need to close your commercial marketplace. At Monster Contractor, our employees use the most advanced tools and regularly test them for safety and reliability. Our crews try to be minimally invasive when setting up and do not require a lot space to do the job. 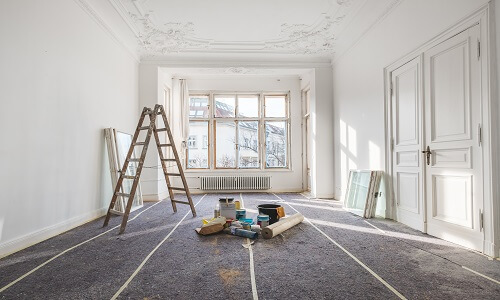 When it comes to renovations, we properly cover or set up containment of the area so that no dust can escape the work area and affect the rest of the building. We are proactive in taking all precautions to avoid accidents. Monster Contractor Facilities Maintenance and Repair believes in an approach of prevention and preparation with regards to property maintenance. We understand that regular attention for low or high maintenance needs and planning ahead for every eventuality is required in today’s business climate. Monster’s reactive commercial property maintenance provides clients with rapid response 24/7. Our Contract Managers are dedicated to working with you and are always on hand to handle your specific requirements for commercial maintenance. Monster Contractor offers a wide variety of property maintenance and repair. If you need fully staffed, commercial property maintenance in Woodland, or need small property maintenance solutions, leverage our experience for your Woodland building maintenance. Monster Contractor’s on-site commercial building maintenance service is designed for any large property requiring a full-time, on-site staff of property maintenance professionals. In many cases, our solution best serves properties of at least 100,000 sq feet with systems critical and immediate service need from mechanical, plumbing and electrical to general property maintenance. Monster Contractor’s commercial property maintenance and repair services designed for smaller sites provide a broad scope of work including electrical, HVAC, lighting, plumbing, preventive maintenance, and all-encompassing inspections. Monster Contractor Commercial Facility Maintenance in Woodland offers any number of services to help keep your building functioning properly and looking its best. We will keep your buildings inviting for both your employees and your customers. As with all services provided by Monster Contractor, you can expect an ongoing quality relationship tailored to meet your needs. Monster Contractor’s Property Maintenance is a NorCal full service commercial property maintenance service based in Woodland, California. We have worked diligently to establish excellent relationships based on our maintenance standards, which are unequaled in Woodland or the industry. Having serviced Northern California for years, Monster Contractor has both the expertise and knowledge to get the job done right and in a timely manner. We specialize in industrial parks, office buildings and shopping centers maintenance. Monster Contractor is a full-service General Contractor and Construction Company located in Woodland. We provide our industrial, commercial & residential clients with premier service and quality assistance throughout the greater Woodland area. We work hard to provide what seems to have been lacking in recent years: a contractor who wants to provide quality service at a fair price. As a result, many of our clients call us back year after year. Monster Contractor of Woodland is a fully licensed and insured construction company. Whether you need commercial, industrial or residential construction, we'll have our best journeymen on the project. We have over 50 years combined experience in the commercial construction and industrial construction industries. Our Property Maintenance experience, like electrical, plumbing, gutter cleaning, etc. will keep help your Woodland facility running smoothly. Commercial Tenant Improvement in Woodland is easy with us. Apartment building and property owners have trusted us for years to improve the lives of their tenants. From small projects to new builds, we have managed all types of Construction Management projects in and around Woodland, California. Retirement homes, government offices and apartment buildings are just some of the Facility Maintenance services we offer. We work directly with YGRENE and HERO on Green Building Construction and can be your ally on energy-proofing your property in Woodland. We have the best solutions for all aspects of home remodeling and Residential Construction in Woodland. Are you doing a Woodland Home Remodel? Room Addition? Kitchen Remodel? Whether it’s a bathroom remodel or complete or partial remodel, we can simplify your remodeling needs. Call Monsters Concrete for a complete estimate to repair foundations and other concrete products. We even have Home Maintenance and home cleaning solutions and can make ourselves available for the smallest detail. Earthquake Damage Restoration and retrofit as well as Fire Damage Restoration mitigation can be expensive if you’re not familiar with restoration in Woodland. Insurance Restoration and working with insurance companies is difficult. Let our experience simplify the process. Storm Damage Restoration can happen at any time of year. We offer services for each season. Water Damage Restoration from leaks can destroy your home. Fast comprehensive repair from Monsters Roofing is the best solution.